Can you spare three hours to improve the health of local rivers and streams? This spring, join in one of central New Jersey’s largest one-day volunteer efforts and make your community cleaner and healthier. 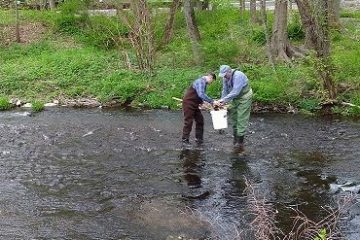 On Saturday, April 13, from 9 a.m. to noon, watershed watchdog Raritan Headwaters Association (RHA) will hold its 29th annual Stream Cleanup event at dozens of sites in Hunterdon, Somerset and Morris counties. Volunteers of all ages are needed, and the cleanup will be held rain or shine. 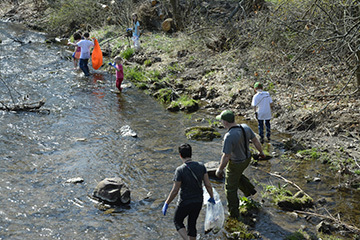 At last year’s cleanup, 1,660 volunteers picked up 13.5 tons of trash from stream banks within the watershed, including 7,643 plastic bottles and 2,688 plastic bags. 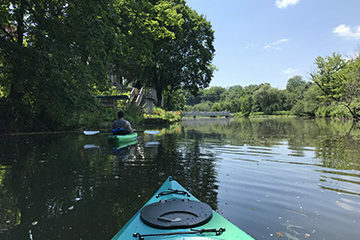 Raritan Headwaters just completed a pilot study documenting the presence of microplastics in the South Branch of the Raritan, especially downstream from wastewater treatment plants. 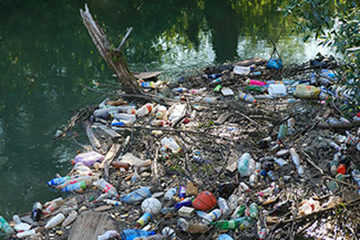 If time allows at the Stream Cleanup, volunteers may be asked to fill out data sheets logging the brand names found on plastic bottles, bags and food wrappers. These data sheets help RHA track trends over time. Online registration is now open. To sign up, go to www.raritanheadwaters.org/streamcleanup to view an interactive map of the 50 designated sites for this year’s cleanup, then click the registration link to reserve a place at your preferred site. Individuals and groups who register by March 1 will be guaranteed a free T-shirt. Those who register by March 26 will receive work gloves and trash and recycling bags. Individuals and groups can still register after March 26, but they may have to provide their own gloves.